The original version was one of Nintendo's early electro-mechanical arcade games released in 1974. It consisted of a light gun connected to a 16mm projection screen. 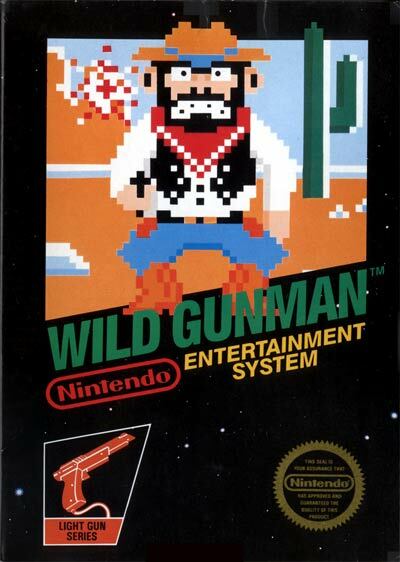 An image of a Wild West gunslinger was projected onto the screen and when his eyes flashed, the player needed to draw and shoot. If the player was fast enough the projection would change to that of the shot gunman falling down, otherwise it would show the gunman drawing and firing his gun. An updated video game version of the game was released in the arcades in 1984, replacing photographic images with cartoon-style video game sprites. In this version the player also waited for the opponent's eyes to flash (accompanied by a speech bubble reading "FIRE!!") before shooting. It also featured a shooting gallery where opponents had to be shot from the windows of a saloon. It was available on the PlayChoice 10 system, and also as a two-player Vs. Series version. The Famicom version for use with the Zapper peripheral was released in Japan the same year, and in the US on the Nintendo Entertainment System in 1985. This is also the first NES game that used voice synthesis.